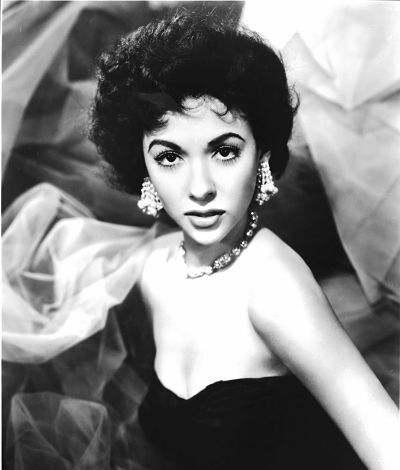 Rita Moreno followed her passion for singing, dancing, and acting—and landed a Guinness World Record for being the only performer ever to win all four major entertainment awards—an Oscar, a Tony, a Grammy, and an Emmy. Born Rosita Dolores Alverio in Humacao, Puerto Rico, she was raised in New York in poverty by her divorced mother. She never saw her father or brother after leaving the island. Unable to speak English when she started school, the transition was painful and humiliating. She felt like an outcast but eventually learned to speak English perfectly and found happiness in Spanish flamenco and ballet dance classes. When she was only twelve, she performed in nightclubs, at Macy’s department store and in children’s theater. As she grew older, opportunities arose in film, theater, radio, nightclubs, and television. Her biggest source of frustration was having to settle for the stereotypical roles of “Latin spitfires,” even though it got her jobs. She did a mean imitation of Carmen Miranda, complete with fruit headdresses and exaggerated dance moves. Before long, however, Moreno wanted to be appreciated for her talent and not her look. This conflict would prove a curse throughout her career. Until her film break, one of her favorite lines of work was voiceovers in movies. She dubbed dialogues into Spanish for Elizabeth Taylor, Margaret O’Brien, and Judy Garland. At fourteen, Moreno appeared in her first film, A Medal for Benny (1945). MGM’s Louis B. Mayer, who thought she looked like a Latina Elizabeth Taylor, offered her a seven-year contract in 1949. She appeared in over twenty-five movies. She changed her name to Rita Moreno (her stepfather’s last name). Her breakthrough came in Singin’ in the Rain (1952) and for her role as Tuptim in The King and I (1956). Her 1961 film role as Anita in West Side Story brought her international fame and an Oscar for best supporting actress. Instead of launching her as a serious actress, however, she was offered stereotypical “Anita” roles. Proud of her heritage, but frustrated with racial discrimination and being typecast, she headed back to New York. She found work in stage productions such as Wally’s Café, Last of the Red Hot Lovers (1970), and The Odd Couple (1985). In 1964, she took time to work with a Dr. Martin Luther King leadership conference supporting the civil rights movement. In 1965, at the age of thirty-three, she married Lenny Gordon, whom she met on a blind date. In 1967 her only child, Fernanda Luisa, was born. She returned to Hollywood in 1969. Her friend and one-time lover, Marlon Brando, helped her back into film when he persuaded his producer to give her a role in The Night of the Following Day. She was also featured on the cover of Life magazine at this time. She earned Emmys on The Muppet Show (1978) and The Rockford Files (1979). Her Grammy was for the soundtrack of her children’s television series, The Electric Company. After earning a Tony for her performance as “Googie Gomez” in The Ritz (1975), Moreno learned that playwright Terrence McNally had written the Broadway comedy specifically for her. He had seen Moreno at a party, where she was poking fun at Hollywood’s image of the fiery Latin Woman and was inspired. In 2000, she appeared in Blue Moon, on the cable series Oz, and in summer stock and regional theater. She worked with her daughter in Steel Magnolias and The Taming of the Shrew. In 1990, she earned the Hispanic Heritage Award in the Arts. She works with Third World Cinema, the National Foundation of the Arts, and the Hispanic Heritage Awards Foundation.